After Apple’s new operating system, iOS 8, was first unveiled during the WWDC Conference, the beta version was made available, bringing a lot of new features to all the supported devices. Still, it was the beta, but last week, during the iPhone 6 launch event, the iOS 8 GM version, was announced as available for registered developers of the iOS Developer Program. 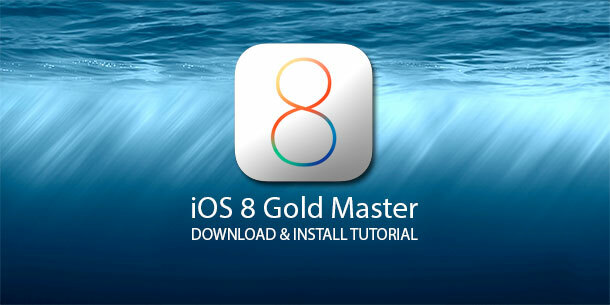 The iOS 8 GM, or Gold Master, is the final build of iOS 8, announced just before the software is publicly released, having the same build number as the one that comes pre-installed on new devices. The final version of iOS 8 will be available on September 17th, but if you can’t wait, here’s a quick guide on how to download iOS 8 GM and install it on your iPhone. Pick the version suitable for your device and, after it has been successfully downloaded, extract the .ipsw file. In order to proceed to the install, make sure you have the latest version of iTunes installed. After the phone reboots, you will get the ‘Slide to upgrade’ message. Proceed. After these steps are completed, the download iOS 8 GM and installation is completed and you are ready to enjoy your new mobile operating system. If you followed our above download iOS 8 GM guide, we’re waiting for your opinion. What do you think about the last version before the final release? Does it match your expectations?